Home News Opinion What's so special about Costa Rican medical devices? 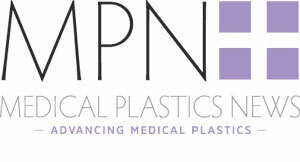 The Costa Rican medtech sector really came to our attention on MPN at this year’s MD&M East, New York, via the CR Med Supply Consortium exhibiting at the event. Made up of 10 medical companies, the CR Med Supply consortium took part in the show to highlight the growth in the country’s medical device industry. Costa Rica currently boasts 96 companies that export medical devices. Last year, medical and precision equipment was the most-exported category of goods in Costa Rica.The aim of the Costa Rican delegation was to show how the country offers experience in medical device manufacturing, traceability, validation, process stability, just-in-time deliveries, logistical efficiency, cost-reduction programs, quick responses, plus a strong culture of quality and innovation. The ten companies at the event also demonstrated how they can provide a solution to supply chain challenges that industrial multi-national companies in Costa Rica are facing. The consortium has also worked alongside the Costa Rican Trade Promotion Agency (Procomer) to help expand the group. Alvaro Piedra, director of exports at Procomer, said: “In Costa Rica we have been working to develop the abilities and competitiveness of the companies that supply the manufacturers of medical devices. Our country is very attractive to the multi-national companies in that sector, and we are proud of the advances and commitment to quality that the consortium has demonstrated. 13,000 square foot facility with a 2,200 square foot, Class 8, cleanroom with capacity to manufacture Class I, II, III medical devices. Advant has also invested heavily in equipment and machinery to support its manufacturing capability in the region. The minister of foreign trade, Alexander Mora, said: “The medical devices sector has allowed Costa Rica to occupy more sophisticated connections in global value chains that are much more sophisticated and robust. In the past five years, medical devices became one of our main export products, increasing by 78% the shipment of these products abroad. Thus, we have positioned ourselves as regional leaders in quality, efficiency, experience and productive innovation. As a result, the country has been able to attract and make possible investments of leading companies in these productive processes.